Now that you’ve found the perfect Christmas tree for your living room, it's time for the fun-yet-daunting task of decorating it. If your tree is taller or shorter than last year’s (or perhaps a little more rotund) you may find yourself wondering whether you have enough ornaments and lights to cover every branch and bough. 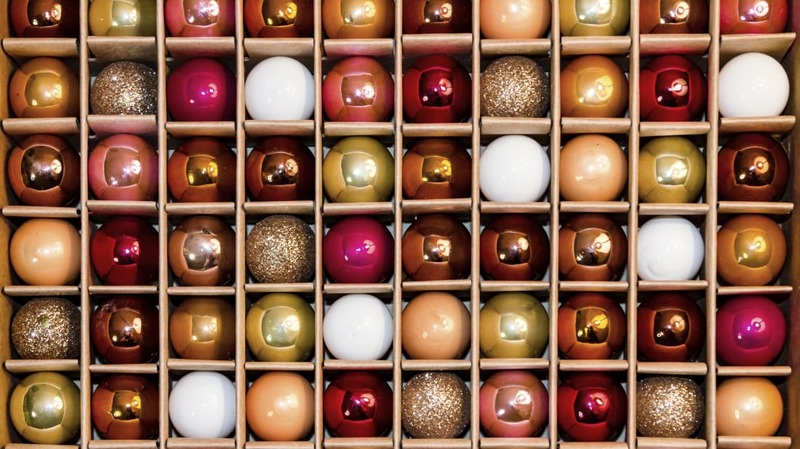 Enter the Christmas Tree Bauble Calculator. As Metro reports, this online tool from UK-based insurance company Admiral can help you figure out exactly how many ornaments and lights your Christmas tree needs based on size, shape, and your decorating preferences. First, enter the height of your tree (a rough estimate is fine) and its shape (full, slim, or pencil). The tool will then ask for the size of your ornaments (small or large) and how decked out you want your tree to be (minimal, jam-packed, or somewhere in between). Now it’s ready to calculate! Assuming you’d like to adorn your branches with an “in-between” amount of ornaments, a full, 5-foot tree would require 74 small ornaments or 43 large ones, plus about 26 feet of lights. While this calculator may inspire you to buy some new baubles before department stores get too crowded, it can also help you decide when to cut back. If you have hundreds of colorful Christmas balls tucked away in some dusty corner of your attic, you may want to consider donating some to your local Goodwill or a charity of your choice. If you haven’t gotten a Christmas tree yet—don’t panic, you’re far from the only one—check out our guide to pine versus PVC (fake) trees. Don’t have enough time to hit up your local tree farm? Amazon will deliver a 7-foot Christmas tree directly to your door.